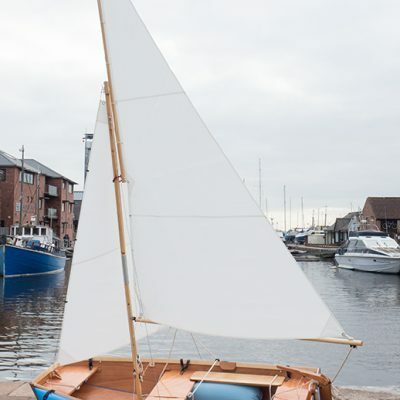 Choose the Lighter and move up a size in terms of carrying capacity and sailing performance, whilst retaining portability. 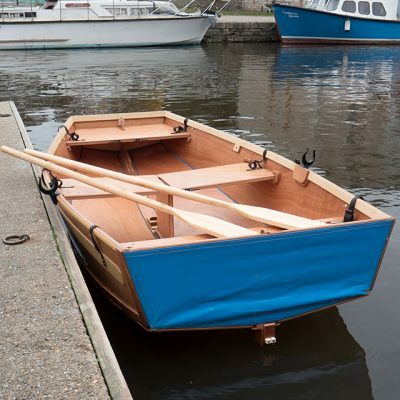 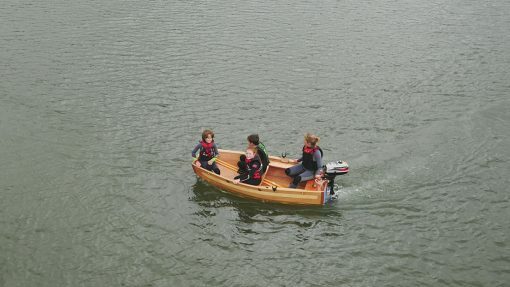 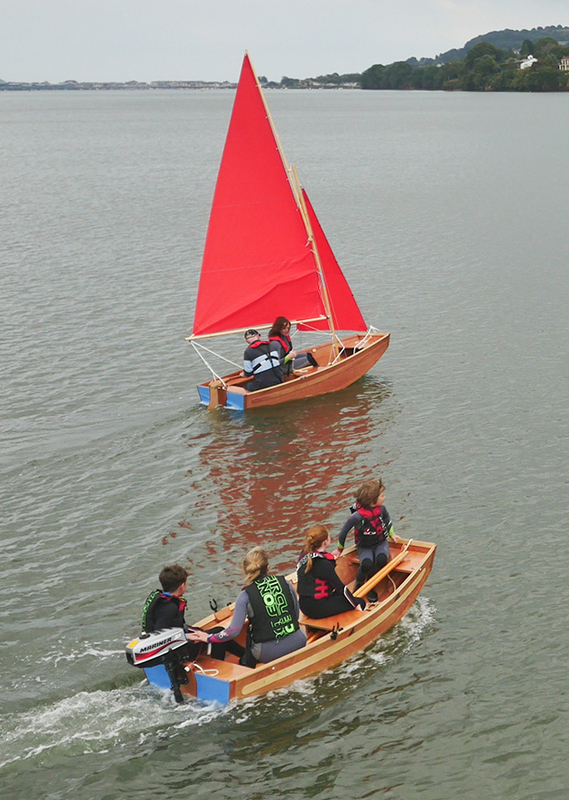 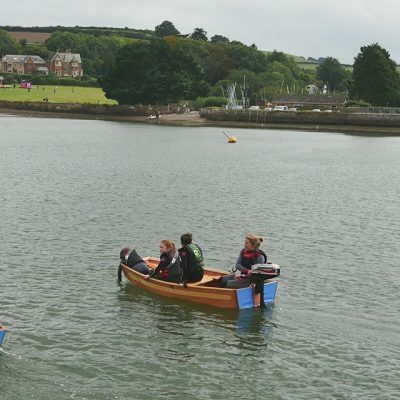 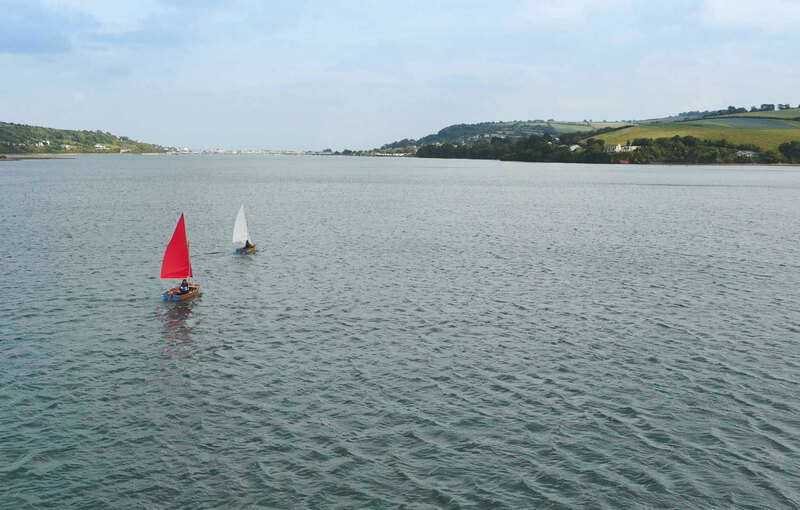 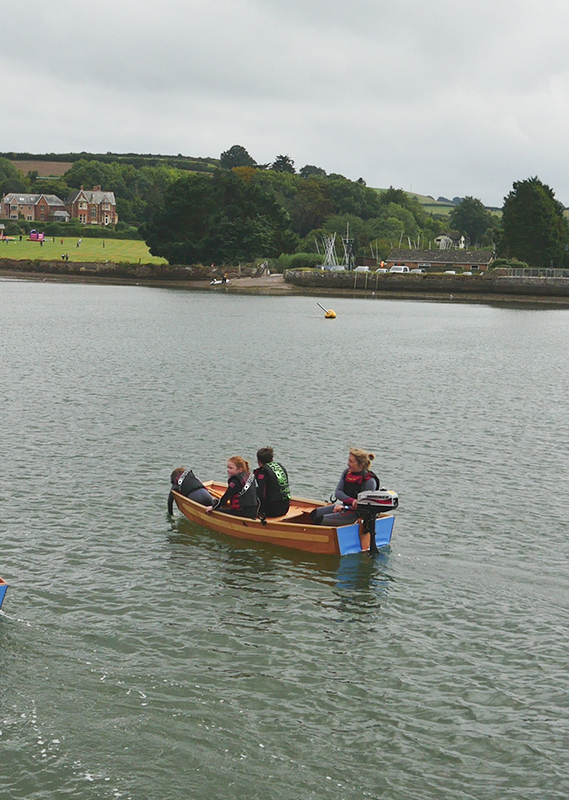 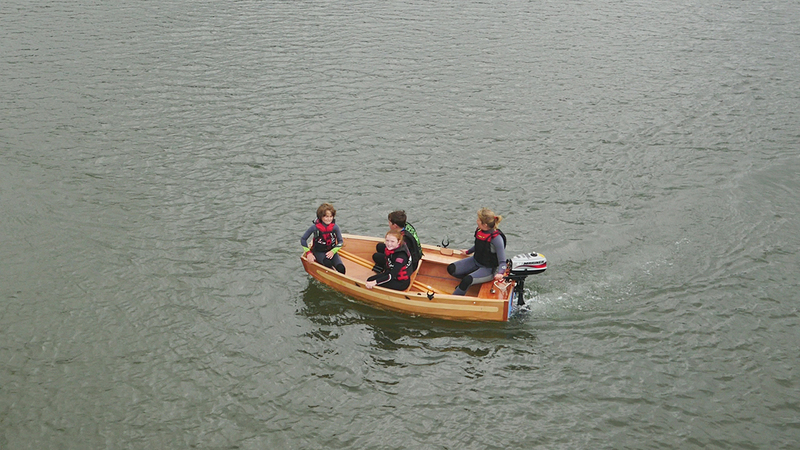 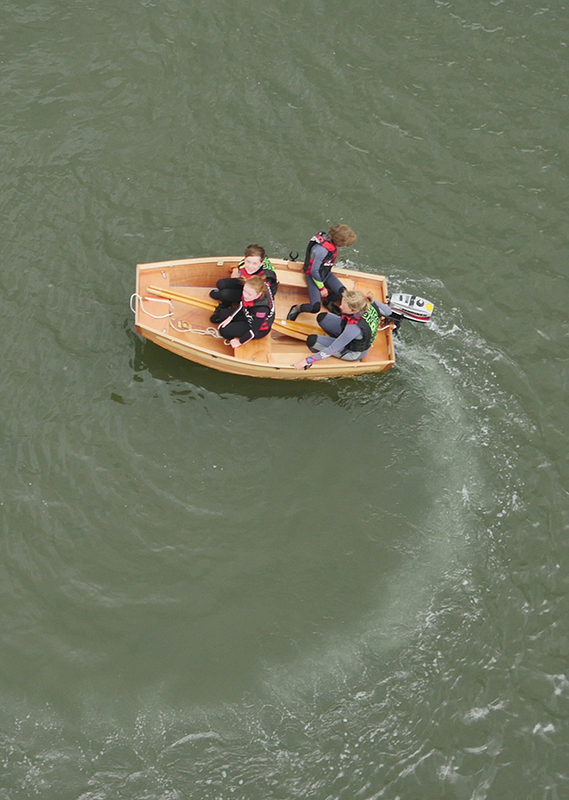 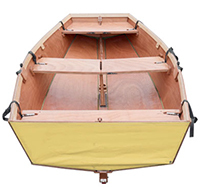 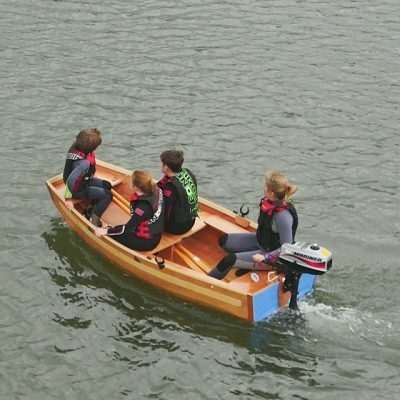 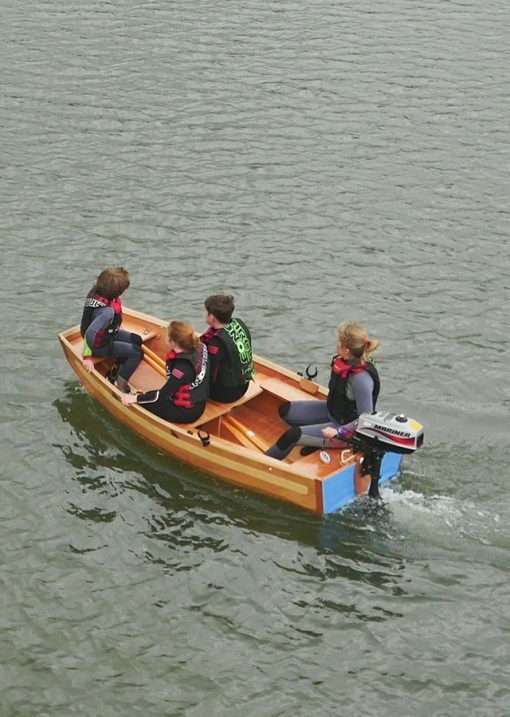 Don’t forget you’ll get much more space in one of our folding boats when compared with an inflatable of the same length because there are no tubes taking masses of volume! 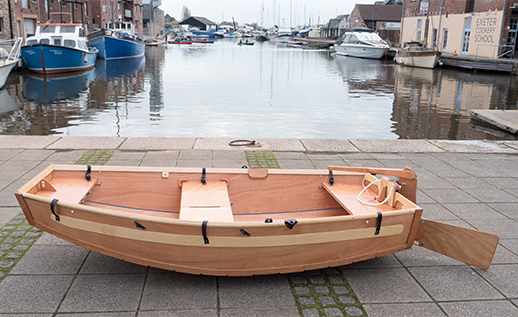 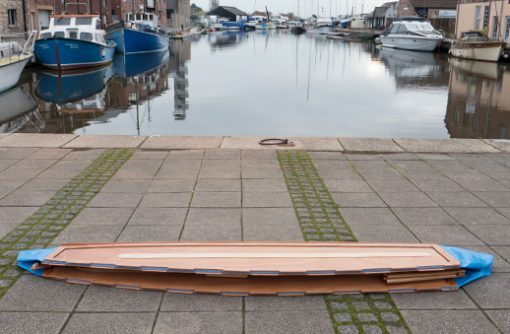 That said our novel dual purpose fenders provide good stability when the boat is heeled over and protects the varnish on your boat when coming alongside. 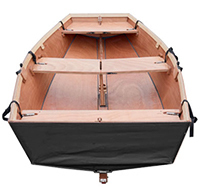 The boat has two mast steps so that if you select or upgrade to the sailing version of this versatile portable folding boat, you’ll be able to sail with just the main or main and jib, each option giving you a good sailing performance. 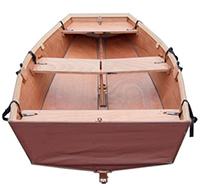 Length (folded) 2.54 m 8'4"
Width (folded) 0.51 m 20"